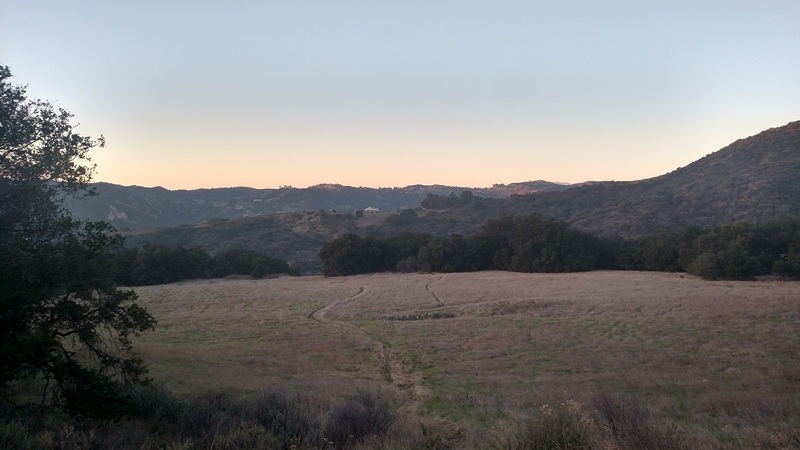 This short but scenic (and surprisingly adventurous) loop visits Topanga State Park’s lightly traveled western corner. The trails here connect with others in the park, making it easy to extend the hike. 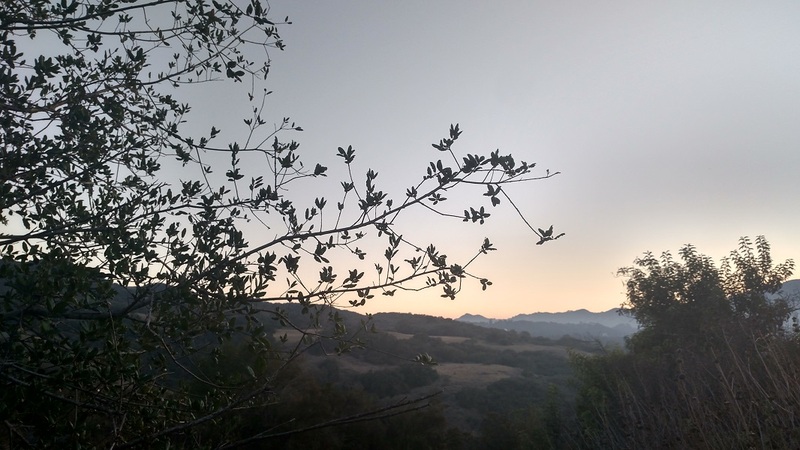 From the parking area, follow Hillside south for 0.4 mile, passing by a few homes, enjoying nice views of Topanga Canyon on the right. You enter the park and make a short climb to a T-junction, where you’ll head left on the Musch Trail just over half a mile from the start. You are now on a segment shared with the popular Eagle Rock loop. The trail winds pleasantly along the side of the hill, providing good views of the canyon. After crossing a service road about a mile from the start, you reach the Musch Trail Camp. Continue past it to a junction where you will head left on the unsigned Musch Meadow Trail. 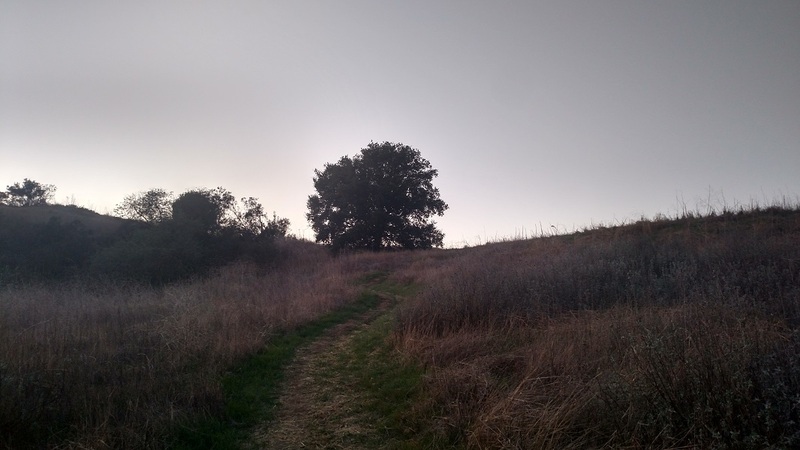 The trail, as its name suggests, drops into the meadow, passing by a few unofficial use trails before dropping down the hillside to a junction (1.3 miles from the stasrt.) The Musch Meadow Trail continues left. The right fork is the Callon Drive Connector Trail, which provides an enjoyable detour. The Callon Drive Connector Trail receives little regular maintenance due to its light usage so the next half mile plus is often overgrown and strewn with fallen trees. 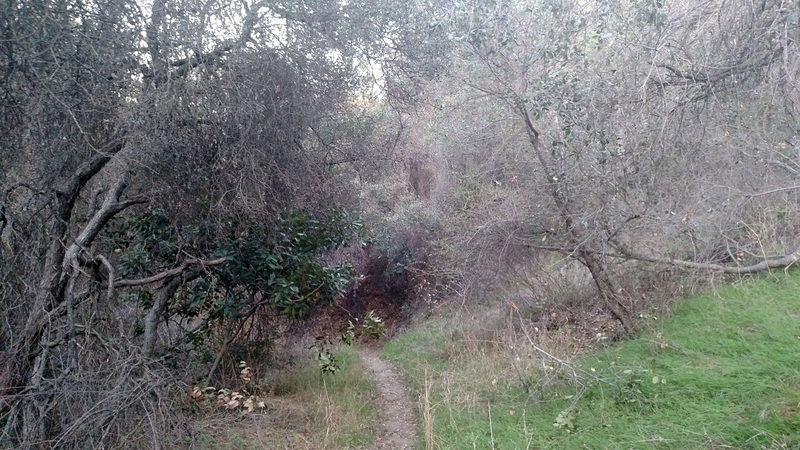 The trail meanders in and out of a few small tributaries of Topanga Canyon before climbing to a ridge at the northern end of the park. 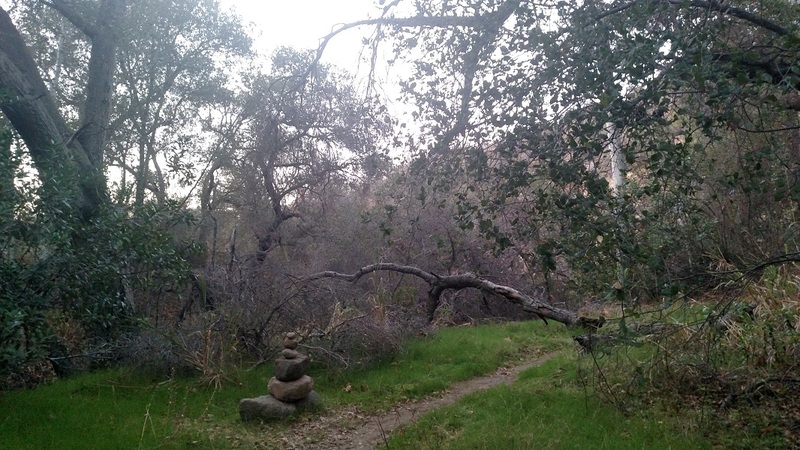 Just before the ridge, a particularly large fallen oak blocks the way; a use trail bypasses it. 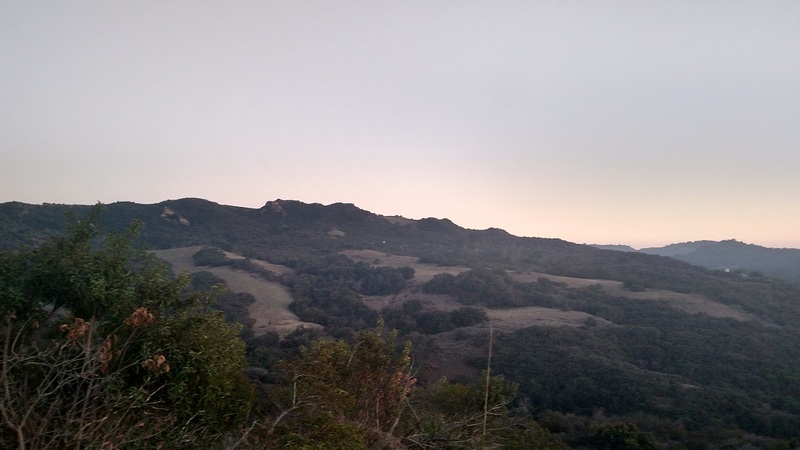 At the top of the ridge, you can enjoy a panoramic view of Topanga Canyon and the Saddle Peak area beyond it. A small bump a short distance to the left (west) provides a place to sit and take in the scenery before retracing your steps. At the junction, continue straight on the Musch Meadow Trail which weaves through another small meadow and a few pockets of oaks before making a hairpin left turn and climbing to the Musch Ranch Access Road (2.7 miles from the start). Follow the road downhill back to the parking area. 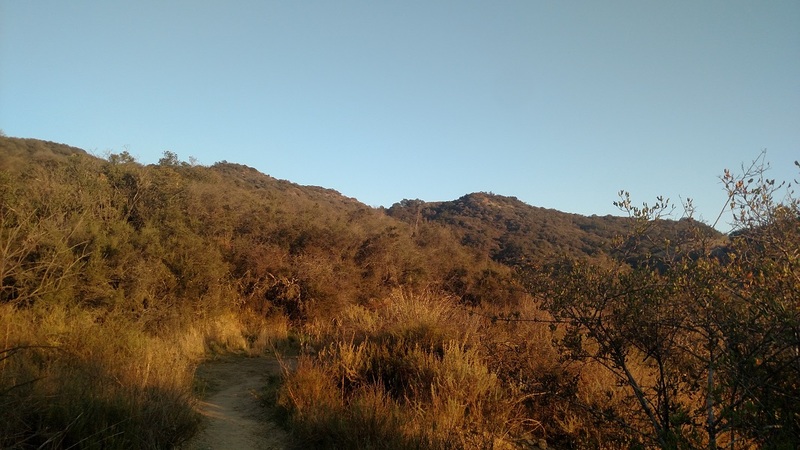 I have friends in Hollywood that swear by Topanga Canyon, and the hiking in the park. 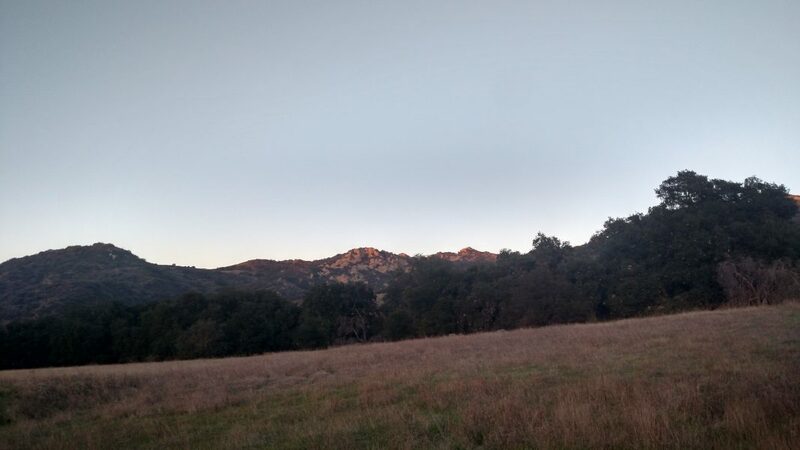 It always sounds like such a wonderful escape from the bustle of the city, right in it’s back yard. I’m writing on behalf of KEEN Footwear, because we’re inspired by people like you who take advantages of the outdoors as much as possible. We’d love to have your input and expertise on our recess page: recess.keenfootwear.com/get-high/. Check out the page where you can add your favorite trails and photos.